Florida elections have a history of minuscule margins and allegations of improprieties at polling stations and in vote-counting. 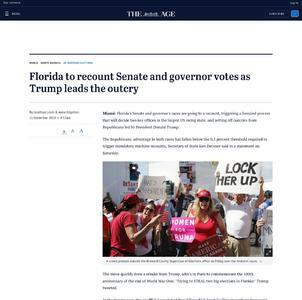 U.S. President Donald Trump criticized elections officials in Florida on Friday and announced that he was sending lawyers to the state where votes are still being counted. Nathan Frandino reports.